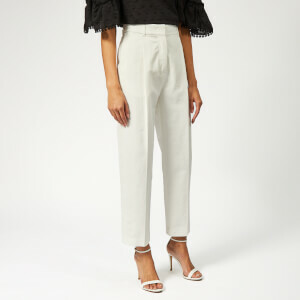 Women’s wide leg trousers from See By Chloé. 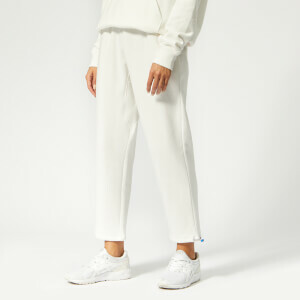 Presented in an ultra-lightweight, flowing crepe, the cream trousers take inspiration from a track pants style with a high rise, a wide elasticated waistband and a loose, flared leg. 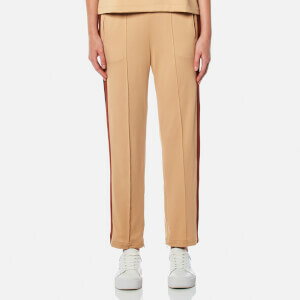 Two slip hand pockets to the sides. A laddered trim at the outside leg completes the design. Main: 100% Polyester. Trims: 100% Cotton. 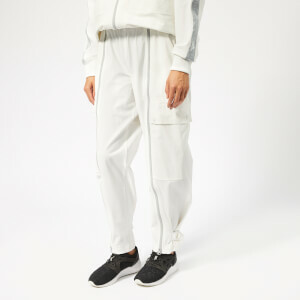 Lining: 100% Viscose. Model is 180cm/5'11" and wears a size FR 40/UK 12.